Reporting in Kakuma refugee camp, northwest Kenya. This entry was posted in Features, Interviews, Journalism, News Stories, Uncategorized on March 3, 2019 by Sally Hayden. My reporting on Libyan detention centres was briefly mentioned in this Human Rights Watch report, Jan 21, 2019. This entry was posted in Features, Journalism, News Stories, Uncategorized on January 17, 2019 by Sally Hayden. 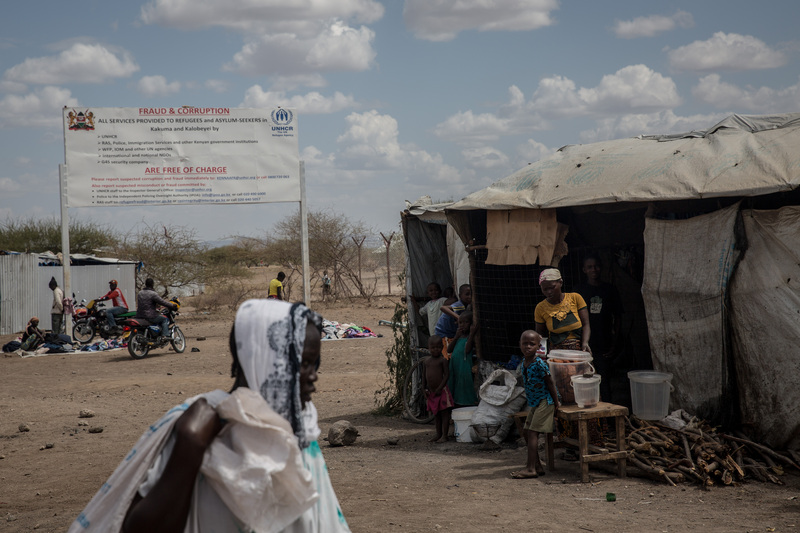 IRIN News’s ten most popular stories of 2018 includes my investigation into corruption in the UNHCR resettlement programme in Sudan. This entry was posted in Features, Interviews, Journalism, News Stories, Uncategorized on December 7, 2018 by Sally Hayden. Delighted to be up for three Irish Journalism Awards – foreign coverage, features and young journalist of the year. So nice to be shortlisted for the Frontline Club Awards. This entry was posted in Features, Interviews, Journalism, News Stories, Uncategorized on October 4, 2018 by Sally Hayden. I had an article in the relaunched New Internationalist about Uganda shutting down orphanages, September issue. Nice to find out we won first prize in the European Migration Media Awards for this story about Syrian refugee returns. Owong Sam, abducted by the LRA aged nine, is reunited with his mother in northern Uganda after sixteen years apart. A photo from Kamfenda, in Gambia’s Foni region, the site of a 2016 witch hunt ordered by ex-president Yahya Jammeh. I was interviewed by Women in Foreign Policy. This entry was posted in Features, Interviews, Journalism, News Stories, Photography, Uncategorized on August 7, 2018 by Sally Hayden. This entry was posted in Features, Interviews, Journalism, News Stories, Photography, Uncategorized on June 3, 2018 by Sally Hayden. The Rory Peck Trust included me as one of their featured freelancers for World Press Day. Children of a former LRA captive pictured on a plot of land the family moved to after being chased from their former community in northern Uganda. Mohammad Rashid, a Rohingya from Myanmar who now runs a roti stand in Phnom Penh. Honoured to have work nominated for the One World Media awards in the digital media and refugee reporting categories – and to be named a ‘2018 Rising Star’ by the News Media Alliance. Ranked 39th most influential Irish journalist on Twitter. This entry was posted in Features, Interviews, Journalism, News Stories, Photography, Uncategorized on April 9, 2018 by Sally Hayden.